And so it goes, the wise-old Halmani always warned: Never marry an only son or first born son. 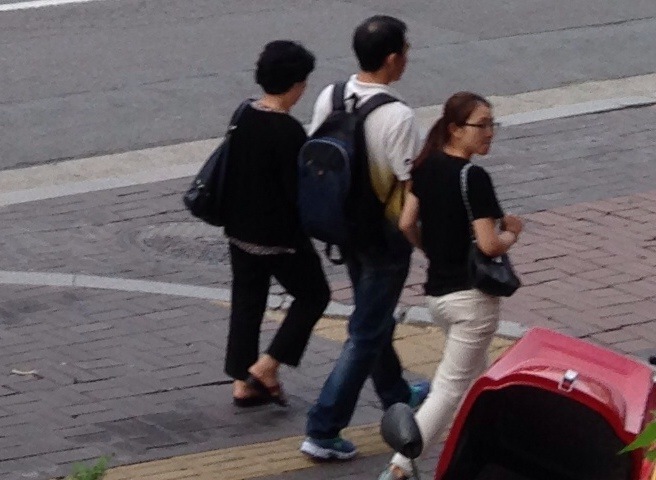 You can’t tell in this photo that this man is holding hands with both his wife and mother. Oh boy I am in for it! Is that photo nutz or what?!? Scareeeee!